Gone fishing… I’ll be back in October. September is the month everyone seems to be gone fishing in Puerto Vallarta. Or that is what the sign says in the window or on the door. And, it is an excellent time for fishing, depending on your sport. Surf fishing is at its best along the coast of Jalisco. 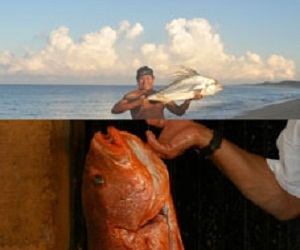 South of Vallarta around the Mayto area has seen world-class surf fishing with record catches the past few years. Be on the lookout for some fishing tournaments and grab your rod and head out. If you don’t catch anything you can always find fish and seafood in Tehuamixtle at three beach restaurants. Enjoy the month and good luck!